This sample will uses fictional names and situations. Any similarity to real persons or events is coincidental. This will is provided purely as an illustration of what a will could look like. Your will document will look different because it will be tailored to your situation and the laws of your state. 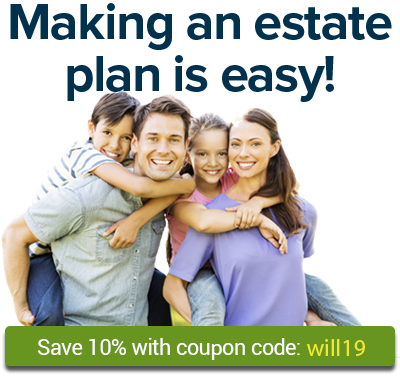 To learn more about making a will, go to the Wills section of Nolo.com. I, Willa Willmaker, a resident of the State of California, Alameda County, declare that this is my will. I am married to Bob Willmaker. I leave my Boston terrier, Clementine, and $1,500 to Jenny Amigo, with the hope that the money will be used for Clementine's care and maintenance. If Jenny Amigo does not survive me, I leave Clementine and $2,000 to Bob Smith, with the hope that the money will be used for Clementine's care and maintenance. A beneficiary must survive me for at least 45 days to receive property under this will. As used in this will, the phrase "survive me" means to be alive or in existence as an organization on the 45th day after my death. [This language means that to receive property under your will, a person must be alive for at least 45 days after your death. Otherwise, the property will go to whomever you named as an alternate. This language permits you to choose another way to leave your property if your first choice dies within a short time after you do. If I leave property to be shared by two or more beneficiaries, and any of them does not survive me, I leave his or her share to the others equally unless this will provides otherwise. My residuary estate is all property I own at my death that is subject to this will that does not pass under a general or specific bequest, including all failed or lapsed requests. I leave $10,000 to Gary Johnson. If Gary Johnson does not survive me, I leave this property to Suzie White. I leave my rare stamp collection to Jenny Amigo, Michael Swanson and Jose Gladstone as follows: Jenny Amigo shall receive a 1/4 share. Michael Swanson shall receive a 1/4 share. Jose Gladstone shall receive a 1/2 share. I leave my collection of Nash cars to the Big Sky Auto Museum and Marcus Stone in equal shares. If Marcus Stone does not survive me, I leave his share of this property to Cyndy Stone. I leave my residuary estate to my spouse, Bob Smith. If Bob Smith does not survive me, I leave my residuary estate to Ricky Willmaker and Gloria Willmaker in a children's pot trust to be administered under the children's pot trust provisions. If both of these children are age 18 or older at my death, my residuary estate shall be distributed to them directly in equal shares. If either of these children does not survive me, I leave his or her share to the other child. If Bob Smith, Ricky Willmaker and Gloria Willmaker do not survive me, I leave my residuary estate to Christine Clemens. All personal and real property that I leave in this will shall pass subject to any encumbrances or liens placed on the property as security for the repayment of a loan or debt. I wish to forgive all debts specified below, plus accrued interest as of the date of my death: Sheila Jenkins, April 6, 2007, $10,000. I name Bob Smith to serve as my executor. If Bob Smith is unwilling or unable to serve as executor, I name Jenny Amigo to serve as my executor. No executor shall be required to post bond. I direct my executor to take all actions legally permissible to have the probate of my will done as simply and as free of court supervision as possible under the laws of the state having jurisdiction over this will, including filing a petition in the appropriate court for the independent administration of my estate. [This clause sets out the specific authority that the executor will need to competently manage the estate until it has been distributed under the terms of the will. The will language expresses your desire that your executor work as free from court supervision as possible. This will cut down on delays and expense. Except for liens and encumbrances placed on property as security for the repayment of a loan or debt, I direct that all debts and expenses owed by my estate be paid using the following assets: Account #666777 at Cudahy Savings Bank. I direct that all estate and inheritance taxes assessed against property in my estate or against my beneficiaries to be paid using the following asset: Account #939494050 at the Independence Bank, Central Branch. If any beneficiary under this will contests this will or any of its provisions, any share or interest in my estate given to the contesting beneficiary under this will is revoked and shall be disposed of as if that contesting beneficiary had not survived me. If any provision of this will is held invalid, that shall not affect other provisions that can be given effect without the invalid provision. I, Willa Willmaker, the testator, sign my name to this instrument, this ________________ day of ______________, ________, at ___________________________________. I declare that I sign and execute this instrument as my last will, that I sign it willingly, and that I execute it as my free and voluntary act. I declare that I am of the age of majority or otherwise legally empowered to make a will, and under no constraint or undue influence. We, the witnesses, sign our names to this document, and declare that the testator willingly signed and executed this document as the testator's last will. In the presence of the testator, and in the presence of each other, we sign this will as witnesses to the testator's signing. To the best of our knowledge, the testator is of the age of majority or otherwise legally empowered to make a will, is of sound mind and under no constraint or undue influence. We declare under penalty of perjury that the foregoing is true and correct, this ________________ day of ______________, ________, at ___________________________________.